How do ordinary people become revolutionaries? In 2000, too-cool-to-care Belgrade rock kid Srdja Popovic found himself at the centre of a movement which was about to change the world. Popovic was one of the unexpected leaders of the student movement Otpor! that overthrew dictator Slobodan Milosevic and established democracy in Serbia - all by avoiding violence and opting for something far more powerful: a sense of humour. In this inspiring and entertaining guide for would-be activists, he tells his story and those of other 'ordinary revolutionaries' who have created real social change using non-violent techniques. Now the director of an organisation that helps to train pro-democracy activists, Popovic has worked with some of the most significant movements of our times, including the architects of the Arab Spring. 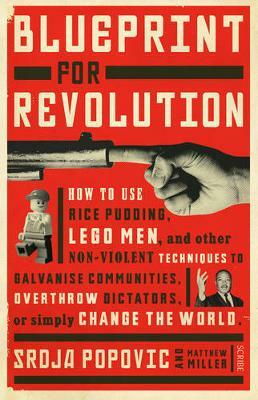 Through examples such as a protest of Lego men in Siberia (when flesh-and-blood people would have been shot), and a boycott of cottage cheese in Israel to challenge price inflation, Popovic tells stories of the true and sometimes ingeniously clever ways in which non-violent resistance has achieved its means. From Occupy Wall Street to Tahrir Square, and from Nelson Mandela to Harvey Milk, the tales Popovic tells are hilarious, accessible, inspiring, at times outrageous, and always about ordinary people achieving extraordinary things.